Do you want to grow the search rankings of your business? Then you will be pleased to know that here at South Coast Web, we provide a comprehensive SEO Bournemouth service in addition to SEO for companies across the whole of the UK. Our SEO Bournemouth campaign is the sure way to get you in one of the top three precious spots within search engines such as Google, Bing and Yahoo; 50% of users will click on one of the top three results in the search engine. Once we get you up there, more people will be visiting your website which means an increase in revenue for your business. Before we get into details of how we can improve your local search engine rankings, first let’s look at ‘what is SEO’? Did you know that 81% of people who have access to the internet use the internet every day? These people will be looking for local services within search engines such as ‘SEO Bournemouth’ or ‘builder Bournemouth’. SEO stands for search engine optimisation, this is the process of optimising your website to appear highly within search engines. SEO is important because there will be floods of competition on the internet that are offering the same service as you; SEO allows you to stand out from your competitors to get the customers and revenue to make your business excel. We consider SEO as an art, which is about understanding how search engines work and what they need from your website to rank it better than your competitors. Search engines are forever changing and that’s why we only ever hire specialists who can keep up and implement the latest practices to ensure your business succeeds in a challenging market. Why you need our SEO Bournemouth Service? When hiring a service, there’s nothing better than looking at your service provider face to face over a coffee and coming up with a plan of action together. Here at South Coast Web, we believe in the same. Even though we offer our services UK wide, we love to work with local companies in Bournemouth as we can meet each other face to face easily. If you live in Bournemouth, then our SEO Bournemouth service is one of the best ways to market your business and increase your revenue. As the internet is booming, more and more businesses are needing a web presence to make the most out of their business for optimum results. In the first quarter of 2015 (January – March) 86% of all adults (44.7 million) within the UK had access to and used the internet*. With the above figure in mind, it is easy to see why many companies are investing money in online marketing as the result could be a constant and targeted stream of customers. We focus on improving the visibility of your website in Google as it currently holds the largest market share in the UK at around 88%*. It’s also worth noting that the front page for any keyword only has a limited amount of room which becomes more competitive as each day passes. So, if you want to start dominating the online market for your local business, then there’s no time like the present to get ahead of the game. This is what we deem to be the most important stage of the work that we do for our customers in Bournemouth. At this critical stage, we perform a large amount of competitor analysis as this provides valuable insight into your company’s sector on search engines and how we can position you as the market leader. The initial sit down that we have is a great opportunity for our SEO Manager to gain an understanding of your business and what it is you would like to start ranking for on the front page of Google when our SEO Bournemouth campaign is underway. Once the goals and targets have been outlined, we will then perform an initial keyword analysis which will create a list of all the search phrase opportunities that your site is missing, and this will allow the planning stage to be carried out without any issues. The search phrases outlined for your company will vary depending on if you wish to target local or national opportunities, for example, a business in the Bournemouth area will likely want to target local clientele which would require them focusing local SEO efforts on phrases such as “[service provided] Bournemouth”. So, a typical digital agency such as ourselves would look to the key phrases such as “SEO Bournemouth” and “Web Design Bournemouth” for opportunities to gain local visibility and traffic for our website. After our analysis, we then move on to creating a plan of action for your SEO Bournemouth campaign that will help improve your site’s online visibility which, in turn, will be what helps to increase your revenue. This usually consists of outlining what needs to be done to bring your site up to current standards and performing extensive keyword research which will help direct our content strategy. We also place a heavy emphasis on the phrase “patience is a virtue” which could not be more relevant to Search Engine Optimisation. It takes time for search engines such as Google to analyse your website and your new content pages, therefore, we recommend that you be on SEO for a minimum of three months to see results. It now all comes down to the stage where we begin to work our magic for on-site and off-site elements of your SEO Bournemouth campaign. Another benefit of working with South Coast Web is that we are flexible. 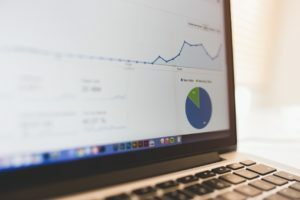 Google and the world are constantly changing and updating themselves; our SEO experts make sure that we change our techniques and grow with Google as we’re constantly researching the latest methods and techniques. Here at South Coast Web, we are transparent; any changes that we need to make to your website, we will always let you know, and we’ll answer any questions that you may have about our SEO Bournemouth campaign. We will speak to you in a language that you understand, no fancy jargon unless that is what you want of course. Is the content high quality? Does Google understand the context? Does it include relevant images with optimised alt tags? Is the Meta Title and Meta Description Tag optimised? Does the webpage follow the SILO structure in terms of where it is in the site hierarchy? Does it link out to relevant high authority sources? What does the inbound link profile for this web page look like, could it be improved? Are there any contextual internal links that point to this webpage? Does the page have any relevant Schema microdata? Is the word count of the page substantial? A general rule of thumb would be to try and double the amount of average word count across the front page of the SERP for the search phrase you are trying to rank for. Has the page title been optimised? Does the page include and make use of any relevant media files? Does the page include any information could make it an indispensable resource for people to link back to? Is the URL structure optimised? Does the heading structure follow the right hierarchy? Not only will we improve your existing pages, but we will add many pages with content relevant to the keywords that you want to rank for. Every month we will provide you with an SEO report that will show you the increase of traffic that you are receiving and your positioning for the keywords that we are targeting, therefore, you know that we are actively working hard to increase your website traffic. What many SEO companies will do, is they will only work on increasing traffic to your website, but what good is that if they click off your website straight away? Here at South Coast Web, our SEO experts work closely with the design team to ensure that your website is user-friendly, therefore, the traffic will lead to enquiries. If you want one of the best online marketing campaigns that will increase your revenue, then get in contact with South Coast Web on 01202 665855. Alternatively, fill in the contact form provided and one of our SEO specialists will get in contact with you to discuss your SEO Bournemouth campaign that we will put in place for you. We are completely transparent and will discuss any aspect of the campaign with you and will work hard to ensure that you are ranking for the key terms that relate to your business.